We’re delighted to announce the release date for Total War: ATTILA as well as details on information on what you will get for free if you pick up Total War: ATTILA early – and information on our special edition. Without further ado, I’ll hand you over to the official press release, which has more information than you can shake a spear at. The global release date for Total War™: ATTILA will be February 17th, 2015 across all territories on both physical and digital formats. Players who pre-order from participating retailers will receive Total War™: ATTILA’s first downloadable content for free alongside the game on release day. This first DLC, The Viking Forefathers Culture Pack, adds three additional playable factions to the game: The Danes, The Jutes and The Geats. These warlike Norse factions have their own unique land and naval units, missions, cultural and factional traits, and are poised to launch southwards from their icy homelands on campaigns of raiding, looting and conquest. The Viking Forefathers Culture Pack will also be available to purchase separately from February the 17th, priced at £5.99/€7.49/$7.99. Written by Nic Fields and published by renowned military history specialists Osprey Publishing, this brand-new Attila The Hun Biography is based on the latest academic research and theories. Beautifully illustrated with maps, archaeological photographs and specially commissioned artwork, it details the life, times and dark deeds of one of history’s most infamous warlords. This biography is only currently available as part of the Total War: ATTILA Special Edition. o This double-sided poster features original Total War: ATTILA campaign map artwork on one side, and a comprehensive playable faction reference guide on the other. o Whether pre-ordered or purchased at launch, the Total War: ATTILA Special Edition includes this significant pack of content featuring three additional playable Norse factions. Check with your local retailer for availability, or here for a page we will update with regional stockists. Ohhhh yes! Where does the Geats start? A club through my chest, that is how I want to go. The wiki seems to have been updated. yay! You could have just called the Viking "Forefathers" you know.... Vikings. "And he punched the Orc in the face and it died." Not really vikings, before they were vikings (There are a couple of differences). In sweden, this time is called "vendeltiden", and it's almost like vikings, but a bit more... primitive! Play on the day of release! You'll receive your download links and activation code by email on 02/16/2015 at 12:01 EST. for only $44.99 US..Now we have a date and cost. Thank you. Wasn't the Vendel Period just after Late Antiquity ended? Viking age started 793 AD. So this game is still 400 years away from that. I don't really like their inclusion. The Heruli would've been nicer to have. When can we order on Steam? I don't mind this kinda day 1 dlc, as this just means more culture packs will follow(i will pick those that i want and what i dont want), and these 3 factions seems minor, so those that doesnt like this can just ignore it. The Geats fought against the Huns, so in my opinion their inclusion is justified. 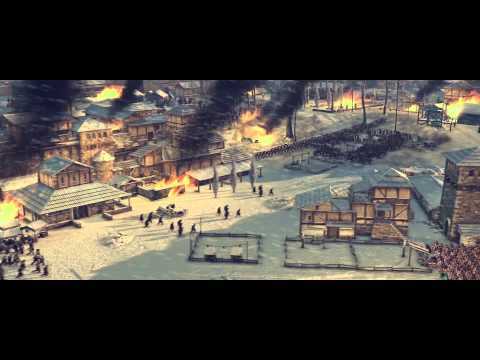 Most people who get into Total War games end up enjoying in one way or another pieces of history, usually related to the TW title at hand. I need that Attila bIo. Raaaaargh Agents are Evil! They are ALLLLLLLLL the spawn of Satan himself!!!! 12:01 EST, that would be 11:01 my time. AM or PM? Either way .. bring it on! You have pre-ordered with us and will thus receive your download links and activation key by email from 02/16/2015 06:01 PM CET (Paris, Rome, Berlin). Happy happy ..cannot wait to play the VIKINGS!!!!!!! Thanks CA..my dreams have come true. Now must wait for SANTA. Before game release they announced DLC. Before main game's price we learned DLC's price. Omg those Huscarls are awsome! They are. They so are. Looks great, I'll buy it late Feb, after I have a chance to see the real game. Unless of course, there is an open beta/ demo available before hand!